2007 was a year marked with significant changes in RJC. The system of classifying students based on their subject combinations had become irrelevant and passé, as the revamped A-Level syllabus had removed the Double Math combination, rendering the Engineering Faculty obsolete. In addition, the Faculty system left much to be desired in terms of fairness—due to sheer numerical advantage, the Medicine Faculty (those who took the Triple Science combination) was winning every inter-Faculty competition there was! Faced with a pressing need to change the system such that it would ensure a level playing field for all, a six-House system was initially proposed. However, after multiple discussions, the school staff decided that six was just too many—a five-House system would ensure an easier alignment with the House systems of RI and RGS, and would also better support the building of both schools’ identities as one Raffles. There were also concerns voiced by several staff members about possible conflicts of interests between the Student Council and the future House Committee. With two departments operating separately, the prospect of duplicate events vying for student participation was high. Dean of Student Development Ms Melissa Lim (RJC, 1992), who was involved with the transition process, put it this way, ‘You are eventually going to have either too many activities in the school or you’re going to have people competing to show that they can do more.’ Without proper communication on a regular basis, conflict and competition would have been inevitable. Thus, the team in charge of implementing the House system made the difficult decision to merge the Student Council and House Committee into one. As such, students today have to first get elected into the Council to qualify for House Committee positions. However, this implementation of a whole new system was never easy—the team had to justify their reasons of expanding the Student Council from 50 to 90 members, with former Councillors casting doubt over the reconstitution. It also took many rounds of discussion to decide on the allocation of roles among Student Councillors and House Committee members. In retrospect, Ms Lim feels that the laborious effort put in to optimise the system initially has proved to be worth the effort in the long run, as the Student Council and House Committee now work synergistically. The Faculty system saw few, if any, bonding activities being organised to promote camaraderie, with Faculty spirit primarily being forged through the heat of battle. Today, however, the Houses strive for intra-House bonding and spirit, organising activities like House parties or games days. 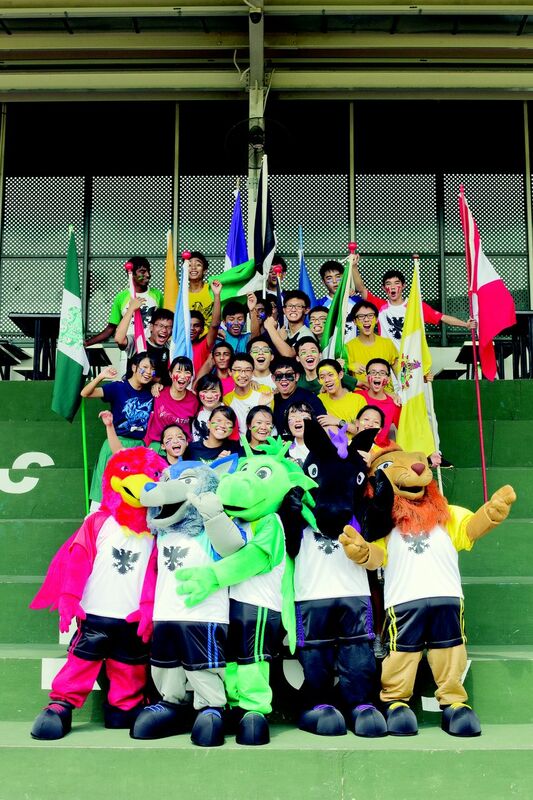 Over on the Year 1–4 side ofthe school, inter-House rivalry continues to be as fierce as it has ever been. We caught up with two Exco members from the Year 1–4 Houses, Ryan Lim (4C, Buckley House Captain) and Nicholas Lui (4E, Bayley Vice-Captain) to find out about the issues facing the Year 1–4 Houses and where they see the Houses headed. Such a sense of belonging is built on the notion of the House as an ‘imagined community’. It is imagined because this community is neither physically founded on geographical borders (Raffles is not that big yet) nor the constant, consistent face-to-face interaction of every member with every other member in the House. Instead, it is organically evolved from the shared experiences that members go through, ultimately forming a shared memory. Returning to his earlier concerns, Ryan shared that he sees these shared memories emerging both from competitions as well as non-competitive activities. He cites Dramafeste 2013 as his favourite House memory, but also hastens to add that ‘a House in Raffles should be a platform for students to add flavour to their experience in Raffles and have great things to look back on when they think about their Raffles journey’. It’s a laudable vision that the Rafflesian Times wholeheartedly endorses, and something which our Year 1–4 captains and Year 5–6 House Directorates are, without doubt, doing their best to realise for their fellow Rafflesians.